Under the tab 'Staff', you will see a list of all your staff that has not activated their account yet manually or through the Activation Email. On the top, you will see an option to send activation email in bulk. 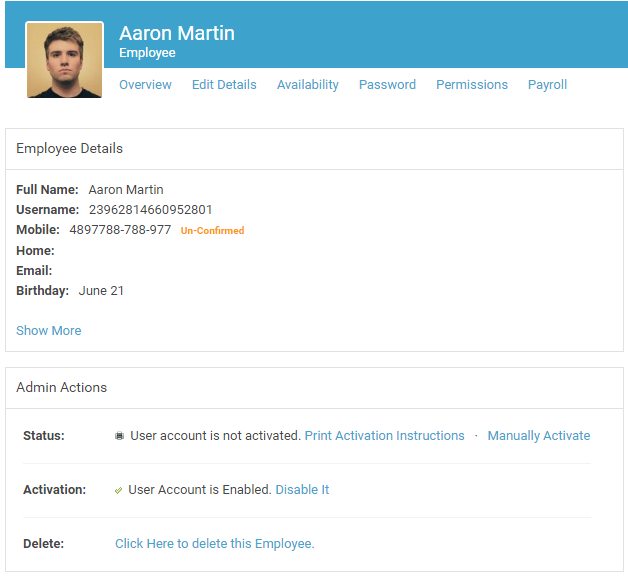 Or click on employee profile and under Admin Actions section, you can manually activate the account.